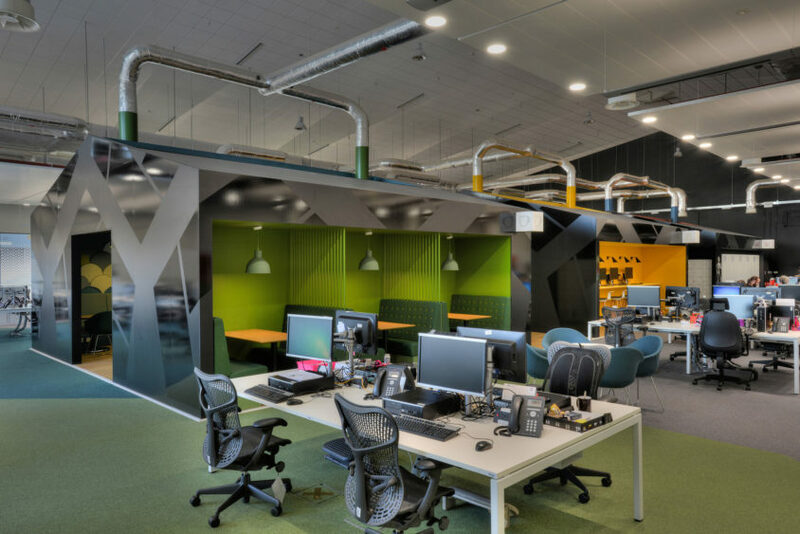 Student Loans Company (SLC) Hillington is in the running for the British Council for Offices (BCO) Awards, shortlisted in the Refurbished/Recycled Workplace category. The central hub structures and their roof profiles create a playful and striking vista right through the heart of the space leading the eye deep into the main work spaces and the central walkway. Graven also used the BSI guidelines for Smart Working on their most recent project for Registers of Scotland to design their new ‘Digital Transformation Platform’ at St Vincent Plaza in Glasgow (17,000 sq ft). In the spirit of Agile, Graven set out to design a fast working solution with a view to testing and evolving it to provide a well-designed and well-delivered workplace environment. The BCO Awards recognises high quality office design and functionality and provides a benchmark for excellence in the workplace and we hope that SLC Hillington will be similarly recognised as an exemplar of good practice.